The tragic events culminating in the suicide of the parents of Avinash, a seven year old child who had succumbed to dengue fever, largely due to the apathy of a number of private hospitals, have laid bare the pathetic condition of health care services in Delhi. Subsequent to a public outcry the Delhi Government has announced a slew of measures to mitigate the impact of the current Dengue epidemic in Delhi. It is natural for a feeling of deja vu to engulf us as we watch the consequences of the Dengue epidemic unfold. Every 3-5 years the city is caught up in an epidemic of dengue fever, each time there is widespread panic among the population, each time the city�s health services prove utterly inadequate, and each year the administration�s belated attempts at mitigating the epidemic�s impact are largely cosmetic in nature. The cyclical dengue epidemics in Delhi are symptomatic of a much larger malaise that afflicts the country�s health care system. It is not as if Delhi is particularly prone to epidemics in comparison to other regions of the country. It is just that the collapse of the health care system in Delhi, in the face of a serious public health challenge, attracts more media and political attention. While not ignoring the seriousness of the current Dengue epidemic in Delhi, we need to remind ourselves that such public health challenges are the norm rather than the exception in all parts of the country. Epidemics of influenza, chikungunya, encephalitis, malaria and a host of other infective conditions cause thousands of deaths � most of them unnecessary if a responsive and well-resourced public health system were in place. Diseases like TB are perennial and have almost become a part of peoples� lives. What we see in Delhi is a microcosm of the entire country � a breakdown of health services due to callous disregard for public health. It is a situation that has been brought on by decades of government neglect and apathy, coupled with the predatory and unethical behaviour of the rapidly growing private healthcare sector. Dengue itself is very rarely a life threatening disease and should not, under normal circumstances, be a cause for panic. Clearly, in public health terms, the circumstances in Delhi and India are anything but normal � something which we shall turn to later. Dengue is a viral infection and is spread by the Aedes mosquito, which breeds in clean water and is a daytime biter, unlike the Anopheles mosquito which transmits Malaria. The latter breeds in dirty stagnant water and bites in the evenings. Dengue is characterised by fever, headache and often severe body ache. Many Dengue patients have relatively mild symptoms, and up to 80% of people who are infected have no symptoms or only develop mild fever. Even among those who exhibit severe symptoms of high fever and body ache (Dengue was originally called �break-bone fever� because of severe pain that it might cause in some), most recover uneventfully in 7-10 days. Patients suffering from Dengue may develop a rash that typically manifests 3-4 days after the onset of fever. The fever can have a �saddleback� pattern -- it comes down to normal after 3-5 days and then again rises for a couple of days. There is no specific treatment for Dengue as there are no specific drugs that act on the causative virus. The symptoms of fever and pain are treated with paracetamol -- not aspirin or other pain-killers like ibuprofen which can worsen the complication of bleeding in some Dengue patients who are severely affected. A very small percent of Dengue patients may develop serious complications. These are patients who develop what is called �Dengue Haemorrhagic Fever� � a condition where the body�s natural system that prevents bleeding starts failing. Such patients can have severe internal bleeding and their circulatory system can collapse, leading to a medical emergency called �shock�. Early symptoms of bleeding may be small bleeding spots under the skin or under mucous membranes such as in the mouth. Severe bleeding tendencies in Dengue patients can be detected by measuring the platelet count in a patient�s blood (platelets are required in adequate numbers to prevent bleeding in the body). While normal people have a platelet count in excess of 1 to 1.5 lakhs per cubic milimetre, the count may drop to below 50,000 in some Dengue patients. Internal bleeding usually occurs when the count drops below 10,000 and such patients need to be treated in hospital with an infusion of platelets. Platelet counts can drop in other infections such as Typhoid fever, but low platelet counts are more characteristic of Dengue fever. Thus a low platelet count is not diagnostic of Dengue. Laboratory tests can be used to diagnose Dengue but are expensive and facilities exist only in high-end facilities. Further, a definite diagnosis of Dengue based on Laboratory tests are difficult to clinch, especially in the initial phase of the disease. There are 4 common variants of the Dengue virus and Types II and IV are known to cause disease of greater severity. The characteristics of Dengue fever described above also define the necessary public health responses to a Dengue epidemic. As we discuss earlier, most Dengue patients require no specific treatment except paracetamol and can be cared for at home. 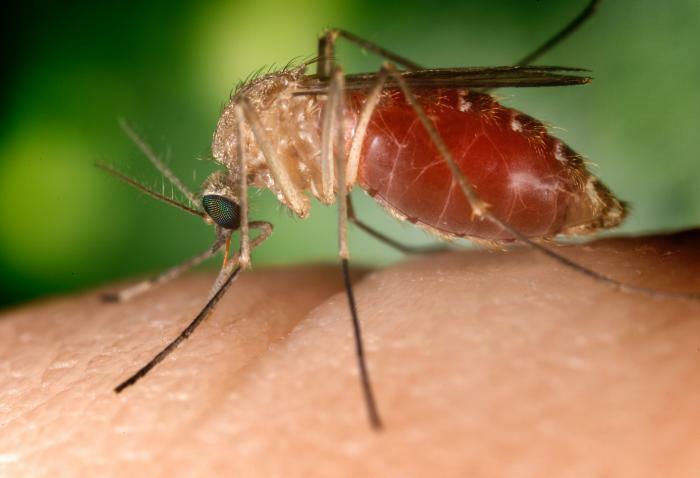 The catch here is that there is no fool proof method for anticipating whether a patient of Dengue fever will develop severe symptoms like internal bleeding and circulatory collapse. As a confirmed diagnosis is difficult and Dengue like symptoms can be caused by a number of infectious diseases (such as Chikungunya, Malaria, etc. ), during a Dengue epidemic all fever patients need to be carefully monitored as potential Dengue patients. Little is achieved by testing for Dengue if symptoms are mild, as early in the disease laboratory tests can be negative in Dengue patients. The platelet count test, simple to do and cheap, can be used as a marker to predict onset of severe disease, along with the severity of the symptoms. It is thus possible to monitor Dengue patients in a home setting, treat them with paracetamol for fever and pain, and consider hospitalisation only if severe symptoms start appearing and/or platelet counts start falling rapidly. Such a public health response is critically dependant on a number of enabling mechanisms, none of which can be instituted after a full blown epidemic establishes itself in a community. The first requirement is of good, reliable and affordable primary level care facilities, i.e. medical care that can be accessed easily where people live and work. The bedrock of this should be a functioning public system consisting of dispersed dispensaries and health centres with basic laboratory facilities. Anything remotely akin to such a system does not exist in Delhi or in almost any part of the country. Even in the private sector General Practitioners are a dying breed, and in large cities such as Delhi have been replaced by corporate hospitals and their franchisees. The corporate chains are not interested in providing out-patient treatment as their profits are generated through hefty charges for hospital beds, expensive and unnecessary investigations and daily fees charged by a range of specialists. Even their out-patient outlets are designed to trap patients and get them hospitalised, irrespective of the medical requirement. Thus we have a situation where there is no reliable way by which patients of fever can be monitored. The only recourse then left to patients is to get admitted in a hospital, fearing that their fever may turn into a life threatening condition. A few thousand detected cases of Dengue in a city of 17 million should never be cause for panic, unless there is a completed breakdown of medical services. It is not a breakdown that has been caused by the Dengue epidemic, it is a breakdown that exists and we are reminded of it every time the system faces even a moderate challenge � such as during the influenza epidemic a few months back, and now in the face of the Dengue epidemic. Hospital in Delhi, both public and private, are choked with Dengue patients who need not have been hospitalised if basic primary care facilities were available and accessible. Importantly, no brilliant deductions were necessary to anticipate this Dengue epidemic. Delhi has been witnessing a spike in Dengue cases every 3-5 years, and the last major spike was 5 years back. Yet when the epidemic hit the city the entire system was unprepared. There are now belated attempts to identify the main strains responsible for the epidemic and some reports that the causative strains are of Type II and IV, i.e. the more virulent forms. Seven year old Avinash�s parents spent desperate hours trying to get him admitted to some of the most glitzy and high priced private hospitals in Delhi. Avinash would, in all probability be sitting up in bed and asking for food at this moment, if hospital after hospital had not turned him away with the plea that a vacant bed were not available. None of them bothered to check the severity of the boy�s symptoms. Avinash�s parents were among the lucky few in Delhi, who inspite of some hardships, could have afforded the five star costs charged by these hospitals if Avinash had been admitted. Every day gasping patients are turned away from hospitals in Delhi because they cannot pay. Beds reserved for Economically Weaker Sections (EWS) in private hospitals are deliberately kept vacant. Profits and not human lives oil the machinery of the inhuman health system that we are building today. It is ironic that Avinash�s parents lived a few kms. from Delhi�s two largest public hospitals � Safdarjung and AIIMS and appear not to have once considered trying their luck there. Avinash would perhaps be alive today if they had. But Avinash�s parents are not to be blamed, they were acting on a notion that has been cultivated and promoted by successive governments. We are being schooled every day to believe that public services mean poor services. Simultaneously public services are being deliberately starved of resources and brought to a pass where their reputation is almost irreversibly tarnished in the eyes of the public. There are two contrasting pictures that can be visualised about Avinash�s plight. In the presence of a caring public system one can think of a young boy being taken to a nearby public facility, monitored and perhaps transferred to a well-resourced public hospital. Eventually a smiling boy leaves the hospital, his small hands clutching those of his parents. Most civilized societies are familiar with this picture. But it is the other picture that most of India is confronted with. Of a callous system whose lust for profits and its callous disregard for peoples� welfare wipes away an entire family. With fiddlers such as these, involved in crafting policy, is it a surprise that the public health system is in shambles? Delhi�s harsh winter will stop the spread of the Dengue epidemic in a couple of months, but the complete absence of compassion in the present ruling classes will continue to torment thousands of helpless parents across the country. The treatment meted out to Avinash is but a reminder of the uncaring and inhumane nature of Capitalism.